(W x D x H) : 11 x 14 x 9.5 in. 28 x 35 x 24 cm. 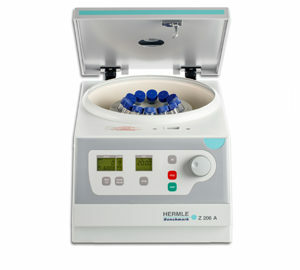 The Z167-M Microcentrifuge is a powerful, compact, easy-to-use high speed microcentrifuge for labs looking to save valuable bench space, but not compromise on speed and power. 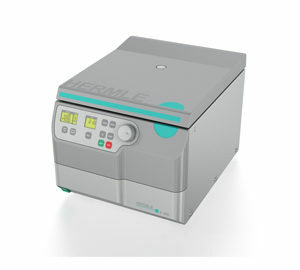 The Z167-M’s compact design houses a powerful, maintenance free, induction motor that can reach up to 14,000rpm/15,994 xg. 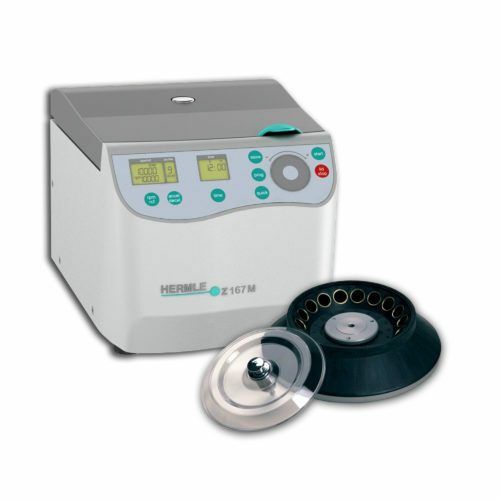 The included rotor is an 18-placeAccompanied by Hermle’s easy to use control panel, the unique EZ-Scroll™ touch pad, gives you ease of control and a modern feel. 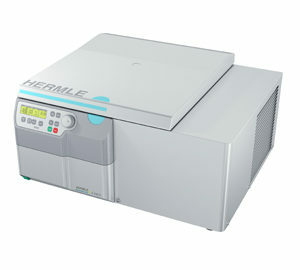 Additionally, this model features a color changing LED status indicator that let’s you know what operating state the unit is in from a distance. Whether the unit is running, on standby, or in sleep mode, it is easy to tell from a far with this new feature. The advanced microprocessor controls allow for setting/displaying of the rotational speed in either rpm or rcf, in increments of 10. 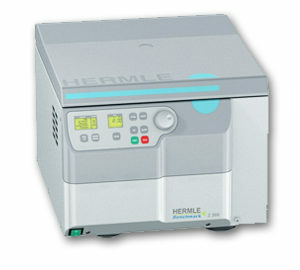 In addition to retrieving saved programs, the easy to use front panel can be used to adjust accel/decel rates, run time, and change the end of run alarm tone. There is also a momentary spin function that will run while the button is pressed and a sleep mode to save energy. 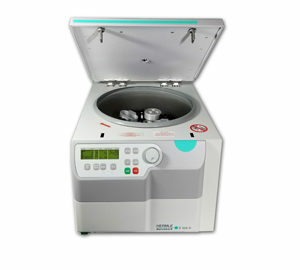 Some of the safety features in sthe Z167-M include an automatic lid-lock that prevents it from being opened while the rotor is still in motion, a splash proof display, and a unique imbalance detection system designed to automatically power down the motor in the event of improper loading of the rotor, or any tube breakage. 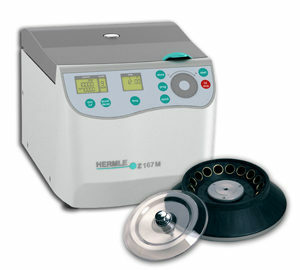 The Z167-M is the perfect microcentrifuge for any lab.